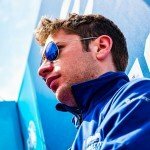 Dutchman Robin Frijns has always been quick in championships right from the start and he was able to repeat this feat in Formula E so far. The quick Dutchman did not have the typical start into his racing career, being given his first karting experience by a family friend. He then quickly discovered his passion for racing and made his way into more professional and competitive racing series, being successful right from the very start. Frijns managed to make his breakthrough in Formula E very early on, especially impressing everyone with a fantastic drive in Putrajaya in 2015 where he scored his first ever podium in the electrically-powered racing series with a damaged car. He started car racing in 2009 in Formula BMW Europe, winning a race in his debut season and taking 3rd in the championship behind current F1 racer Felipe Nasr and DTM’s Daniel Juncadella. 2010 saw him win the championship with six wins, while 2011 saw him winning the Formula Renault Eurocup in his first year, beating current F1 drivers Carlos Sainz Jr, Daniil Kvyat and Will Stevens to the title. In 2012 he moved up to Formula Renault 3.5 and, despite the field including veterans like Jules Bianchi and current Formula E racer Sam Bird, Frijns took that championship in his rookie season too. However a lack of funds saw him only enter a handful of GP2 races in 2013 – winning one – while reserve driver contracts with Sauber and Caterham did not lead to a race seat. He nevertheless got the chance to test-drive the Caterham CT05 in Bahrain and Great Britain in 2014. After moving into GT cars this year, he took 2nd in the Blancpain Sprint Series taking five wins.